November 7, 2010 by Fr. C.
The St. Al ban’s family enjoyed its second successful movie night on Friday last. 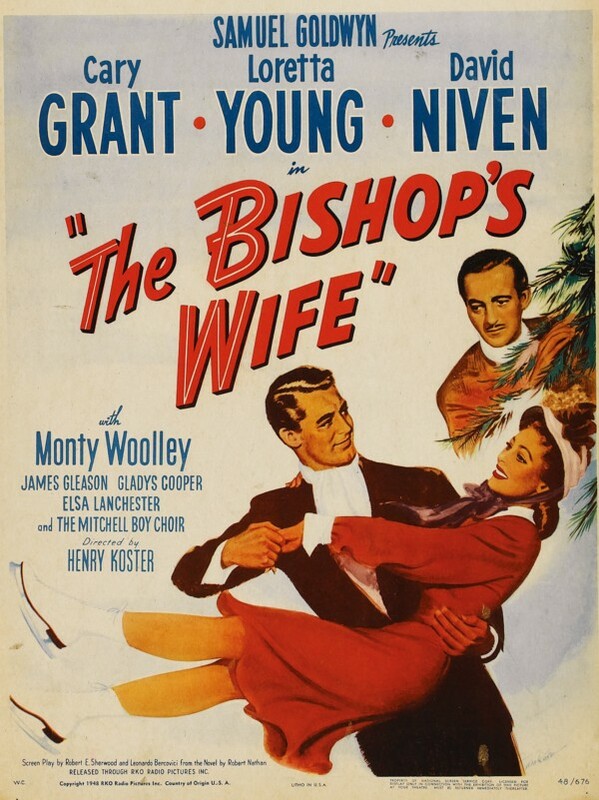 A sumptious chicken dinner preceded a showing of The Bishop’s Wife (1947) is a Samuel Goldwyn romantic comedy feature film starring Cary Grant, Loretta Young, and David Niven in a story about an angel who helps a bishop with his problems. Our thanks to all who helped..
We are looking forward to our next family movie night on Friday, December 3, with a showing of the perennial favorite Miracle on 34th Street the 1947 Christmas classic film written by Valentine Davies, directed by George Seaton and starring Maureen O’Hara, John Payne, Natalie Wood and Edmund Gwenn. It is the story of what takes place in New York City following Macy’s Thanksgiving Day Parade, as people are left wondering whether or not a department store Santa might be the real thing. We’ll see you all at 6:00 pm for a chili supper, with the movie starting at 6:30 pm. You may wish to bring blankets and/or comfortable chairs.